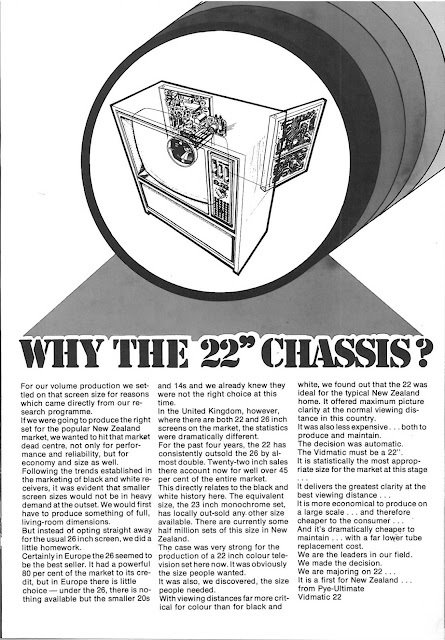 I was given some very rare New Zealand Pye Factory News Bulletins from the mid 1970's to early 1980's so naturally I thought the best place to scan and post them up was here! 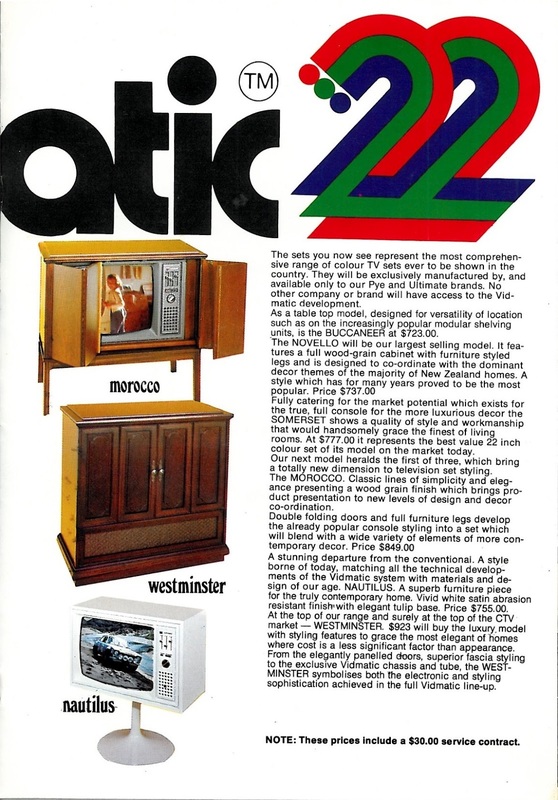 This one is about the release of the Pye Vidmatic CT102 Colour Television. 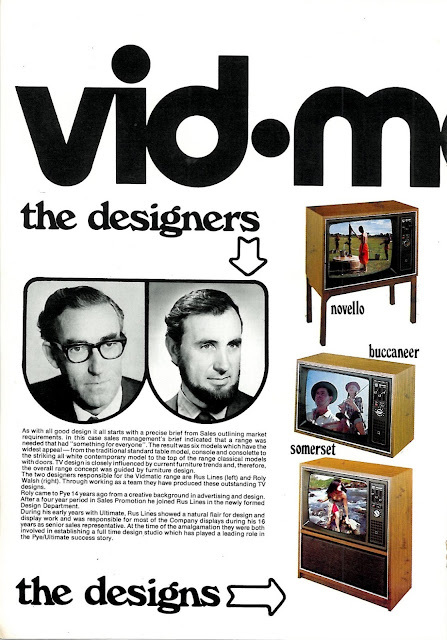 Many thanks to Graham Street who kindly donated these to me. 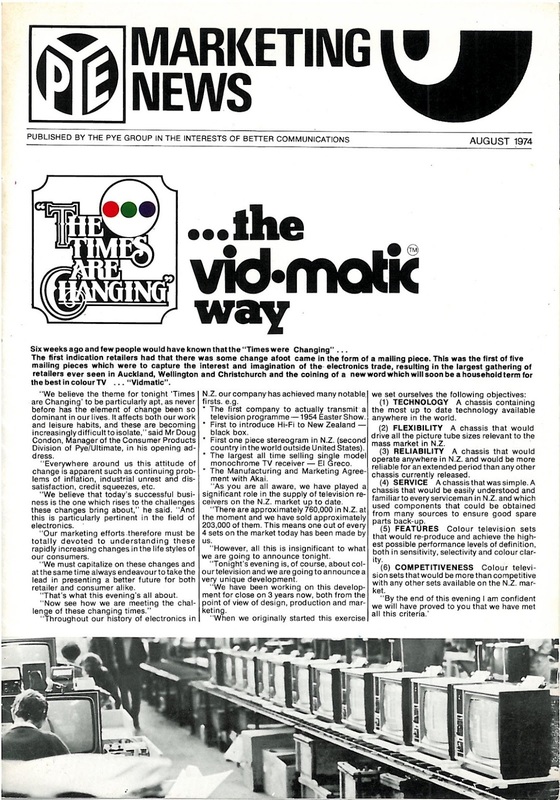 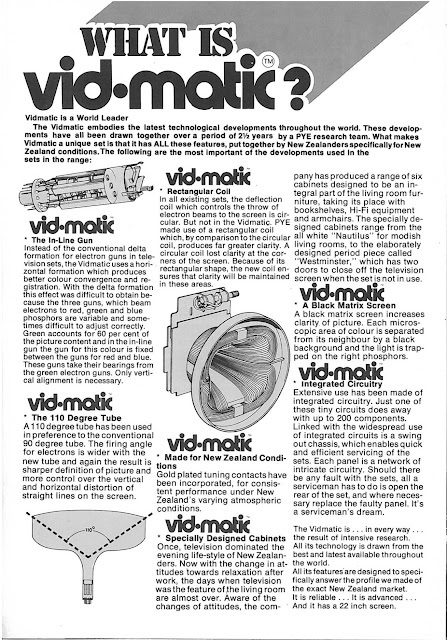 Thanks for the post, I always wondered what the 'vid-matic' branding was about.